If you want to win me over, you can do so with a pair of socks. I know it might sound crazy, but socks to me are just like another accessory such as a watch or bracelet. 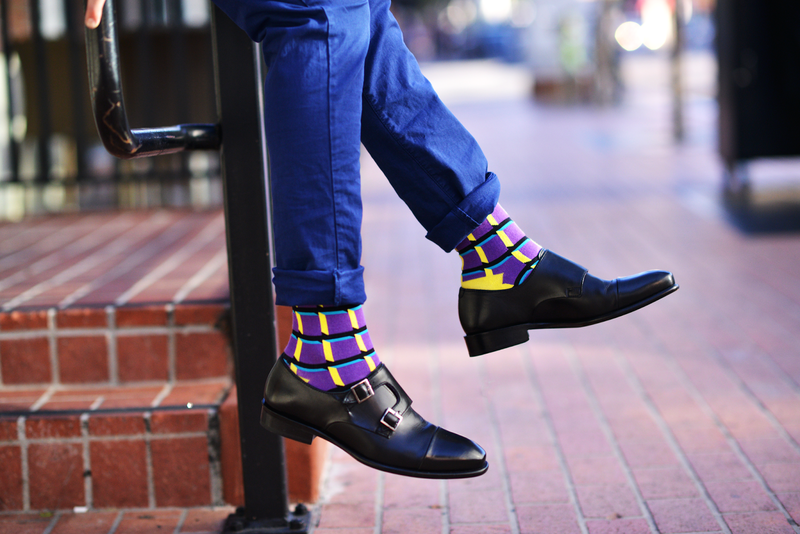 If you think about it, a pair of cool and funky socks offers a break in outfit patterns and gives your look a fresh perspective. Recently, I discovered an awesome line of socks: Hitsu Socks. Hitsu is the worlds first blind box sock company. The brand envisions their pair of socks as pieces of art, (versus mass-produced socks). So far, the brand has released three different sock series, the Founders Series, Street Art Series, and the Domo Capsule Series. Each series offers distinctive socks that can easily be worn with just about any outfit combination, and of course any shoe type. When you order from any of the collections, you have the ability to decide how many pairs you would like to order. 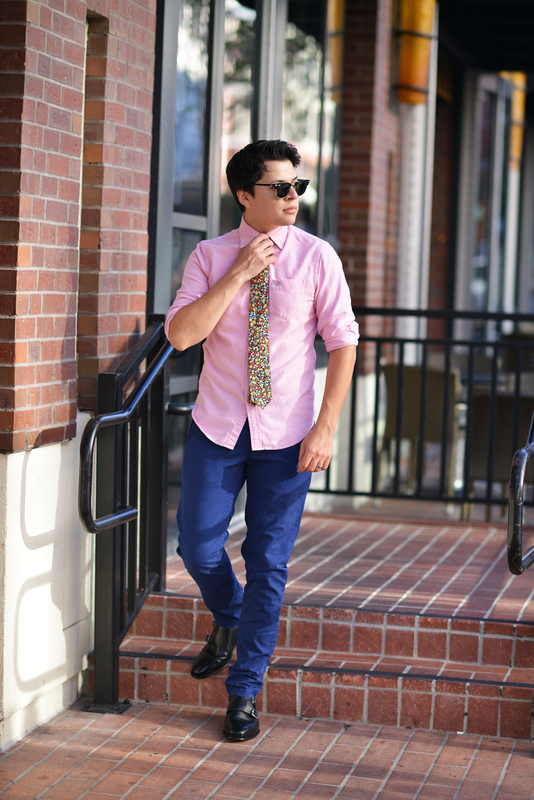 Order a pair or the entire collection; you will be surprised with unique prints to add to your collection. The ordering technique is totally solid; if you like to play it safe and buy socks within your comfort level, having someone personally curate a batch of socks for you means you get the opportunity of building an outfit AROUND your socks! As you can see in the picture posted above, I got these socks in a purple print, and I had a hard time figuring out how to even dress these around an outfit. 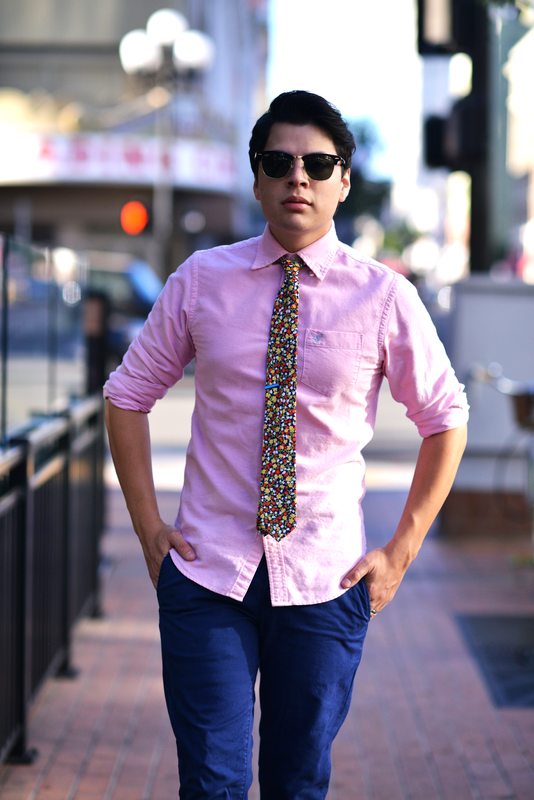 Then it hit me, combine bright and eye-popping colors such as blue and pink and you got yourself a dapper 'fit. 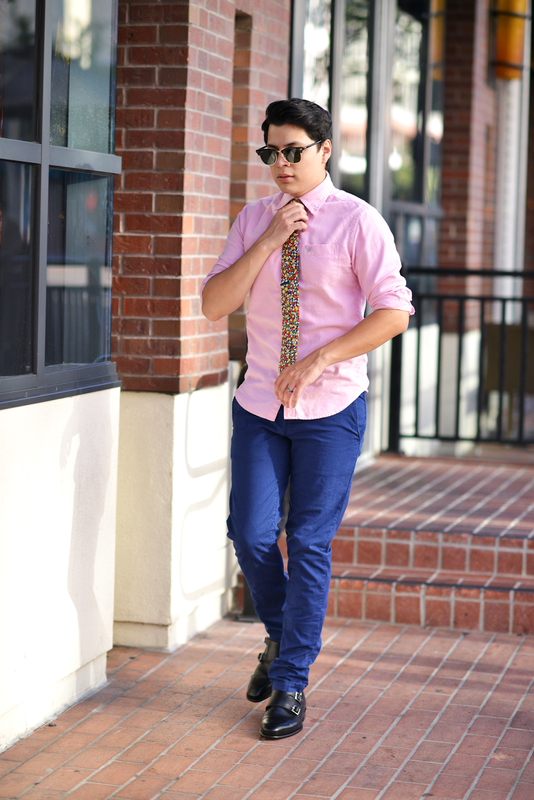 While I was shooting these photos while I was hanging by a rail, several people passing by Downtown San Diego paused for a moment and complimented my socks!